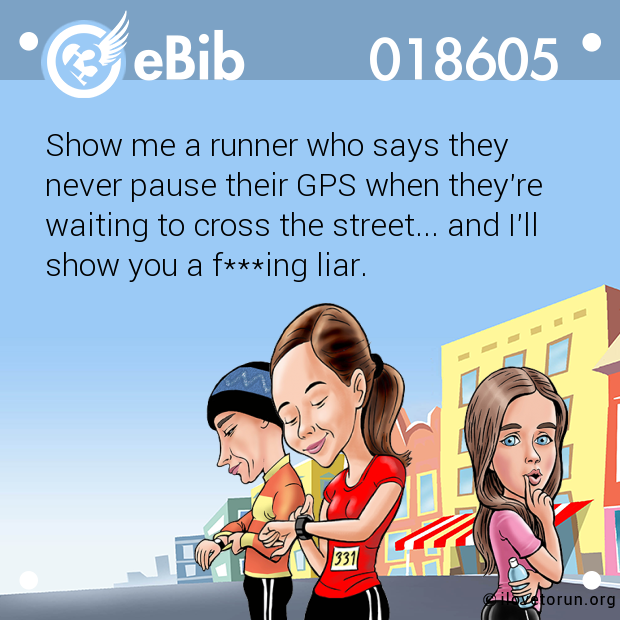 Joggers bounce up and down at red lights. 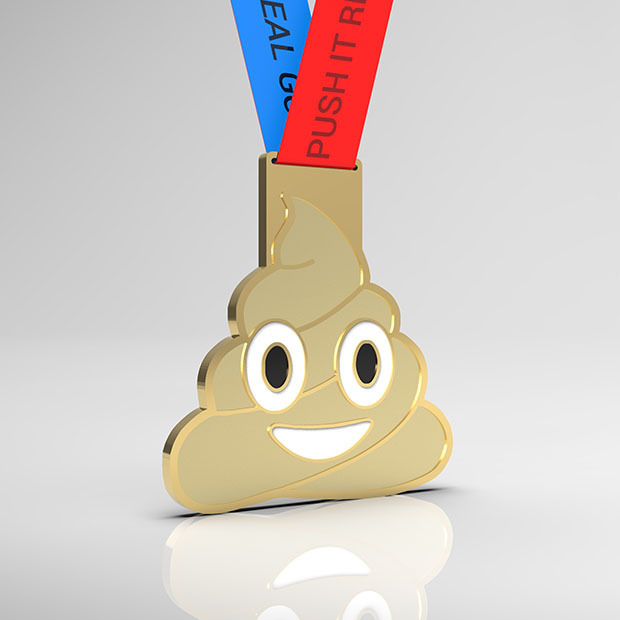 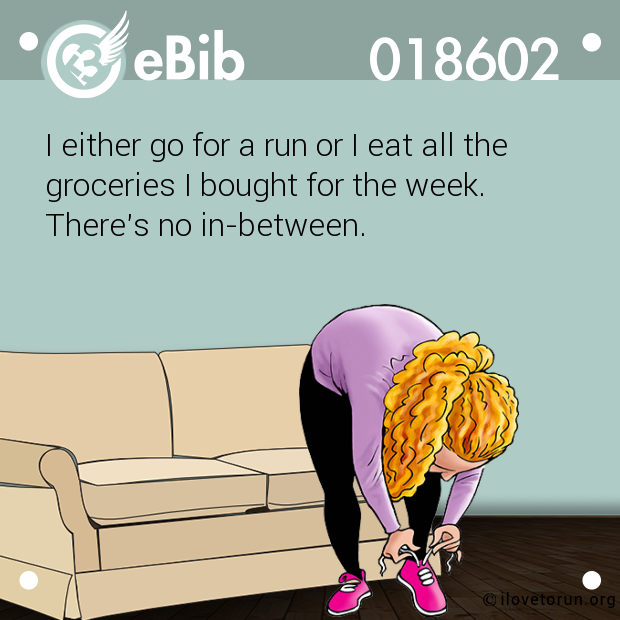 Runners just stand there looking pissed. 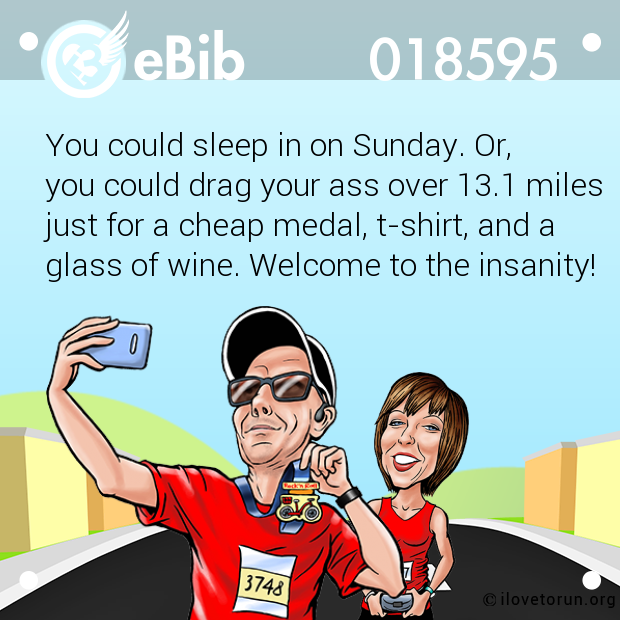 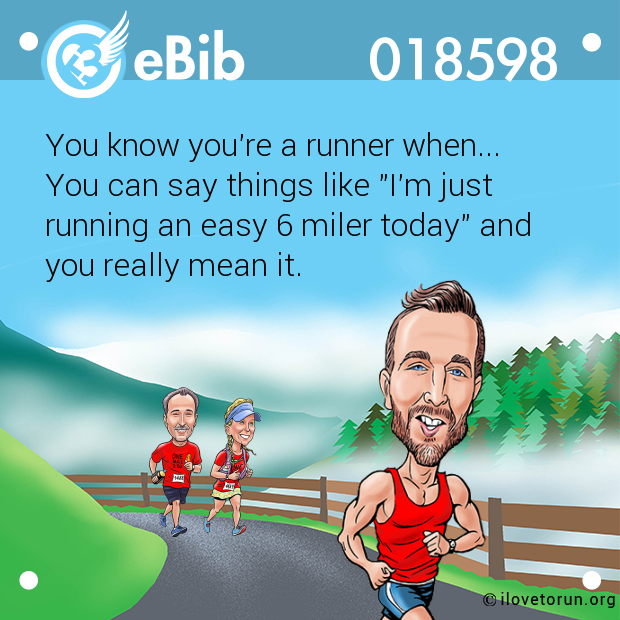 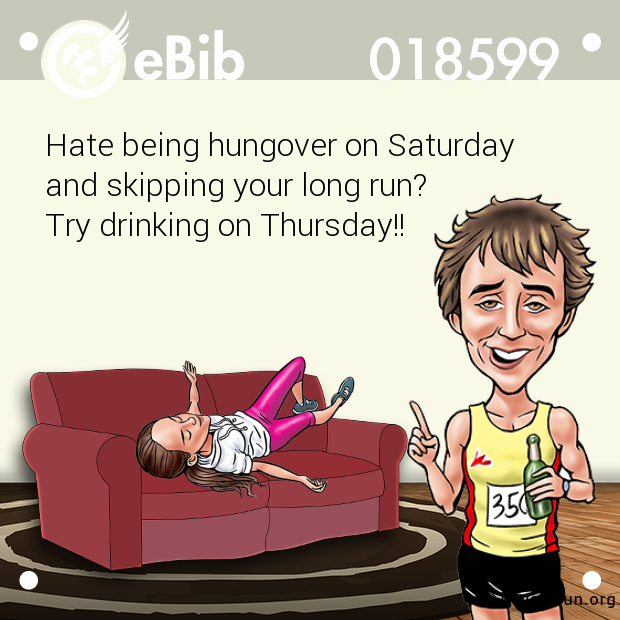 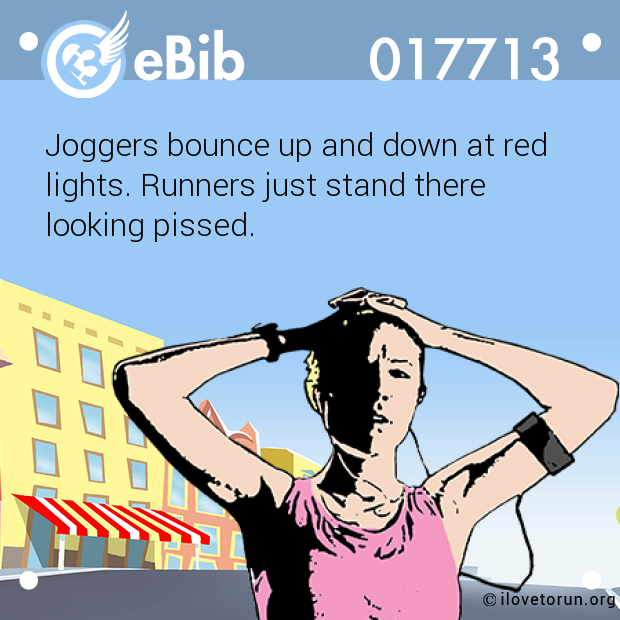 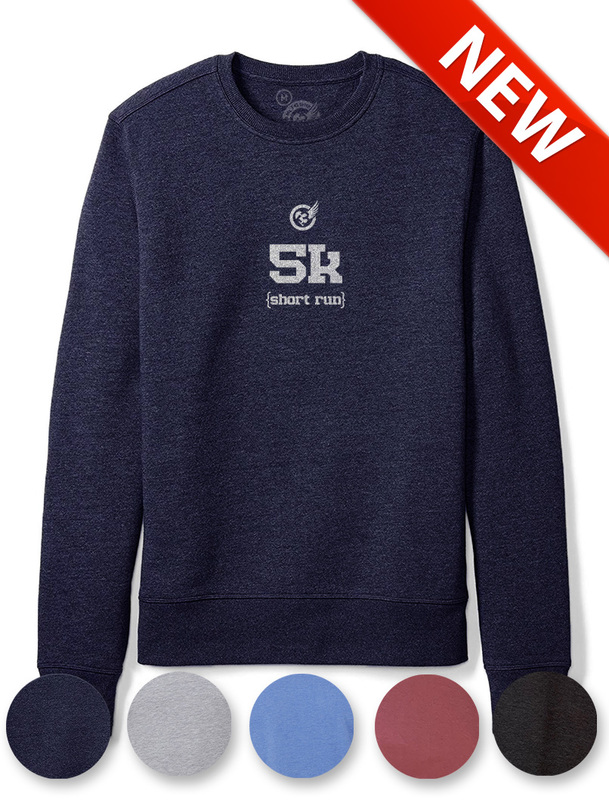 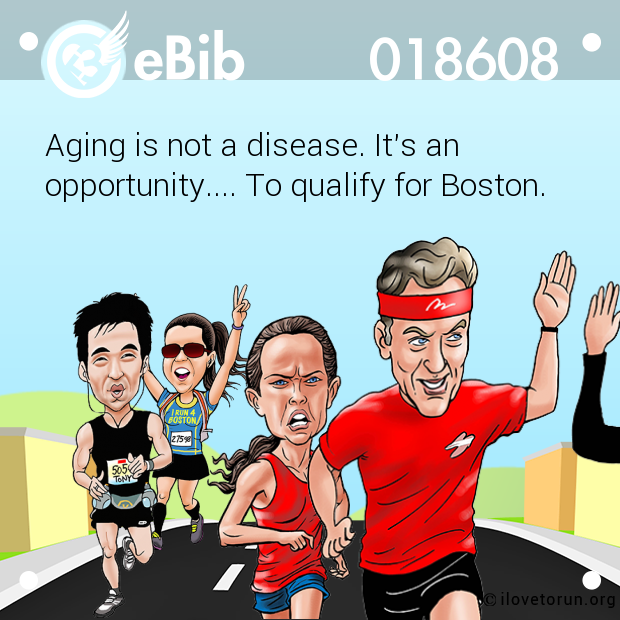 eBib text : Joggers bounce up and down at red lights. 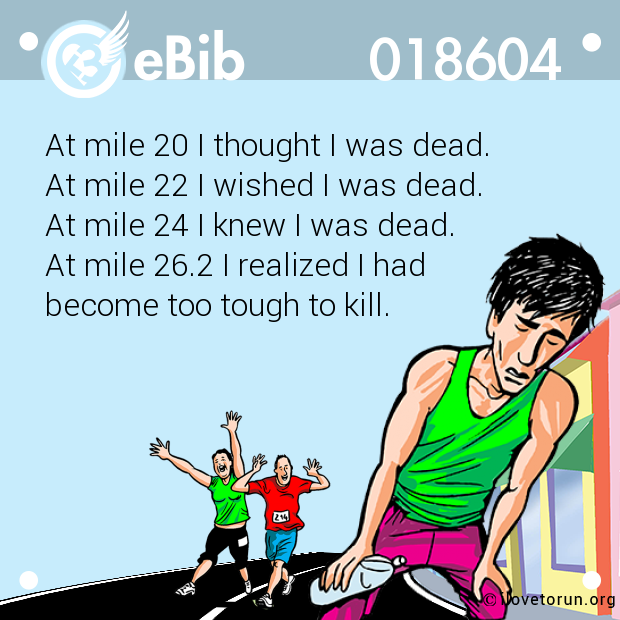 Runners just stand there looking pissed.